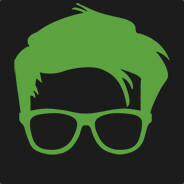 Welcome to all you new members to the Fraggeeks community. As a thank you, you are all entered into a draw to win a copy of the upcoming shooter Insurgency:Sandstorm on Steam! Take a look at the trailer here! won the first giveaway ! Happy Friday to everyone! What are you planning on loading up this weekend?